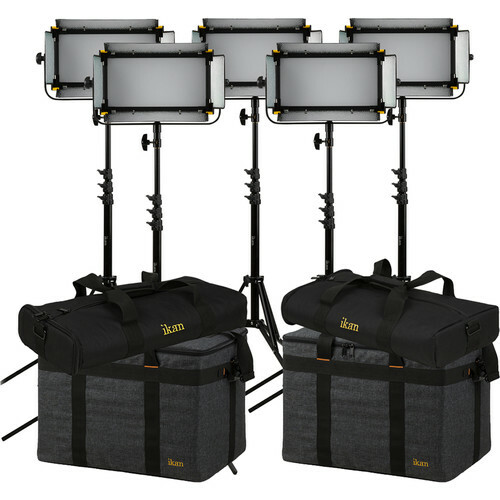 The Mylo Soft Bi-Color LED 5-Point Light Kit from ikan combines five Mylo Soft LED lights with stands and bags to provide a versatile lighting setup that can be used in a studio or taken on the road. Each light comes with a yoke and barndoors, and is paired with Sony L-series batteries and a dual battery charger to provide portable DC power in venues where you cannot access an outlet. Compact stands are used to support the lights, with two large bags included to carry the lights and two smaller bags used to transport the stands.